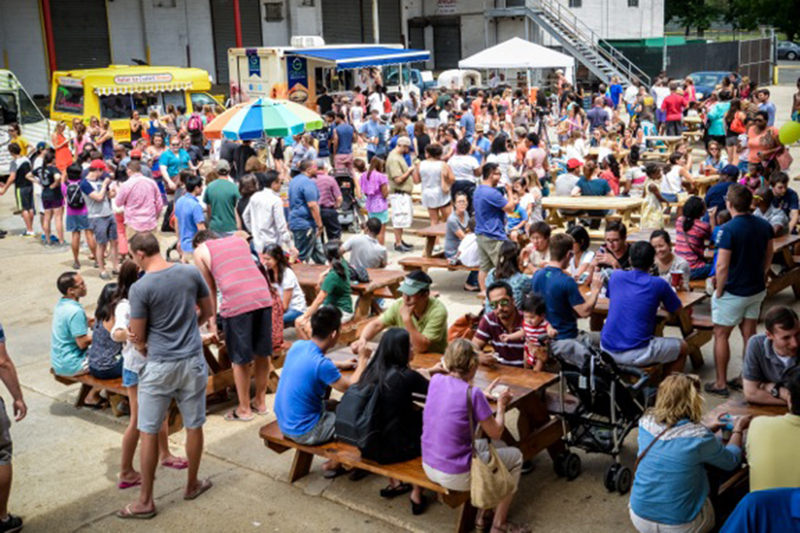 A spoon might come in handy for an ice cream social slated to return to Union Market this weekend. Ice cream lovers can purchase ice cream, gelato, ice cream sandwiches, popsicles and other frozen treats from local businesses in celebration of National Ice Cream Day during DC Scoop at Union Market (1309 5th St. NE) this Sunday at 1 p.m. Businesses slated to attend the event include Little Baby’s Ice Cream, Carmen’s Italian Ice Dolci Gelati and Timber Pizza Co.
A panel of judges composed of ice cream aficionados from Dolcezza and Puddin’ will help crown the winner of the coveted “Best Ice Cream” title during the ice cream social. The event will also feature ice cream eating contests, raffles, samples and giveaways. At Large Councilmember David Grosso has turned to a NoMa-area community leader to take the helm of his office. 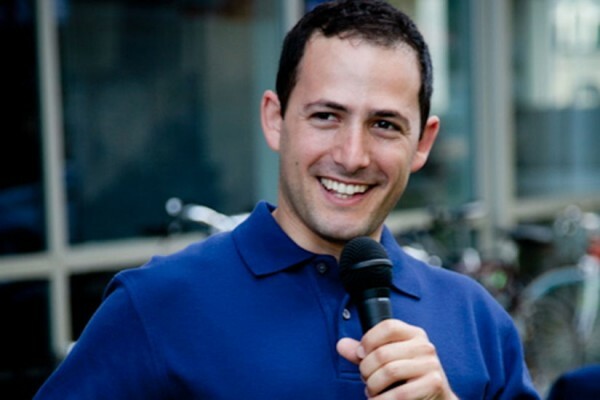 Tony Goodman, who has represented NoMa and Near Northeast on ANC 6C for the past four years, became Grosso’s chief of staff Tuesday. He succeeded Keenan Austin, who stepped down this summer to serve as the Florida political director for presumptive Democratic presidential nominee Hillary Clinton. Aside from Goodman’s duties as commissioner, he also serves as a member of the D.C. Pedestrian Advisory Council, according to his LinkedIn profile. He most recently was a D.C. Department of General Services construction manager, working on projects that included a new pedestrian and bike trail that will run from NoMa to the National Arboretum. Originally from the San Francisco Bay area, Goodman has lived in D.C. since 2002. Four men robbed someone at knifepoint near Fort Lesley J. McNair in Southwest this morning, police said. 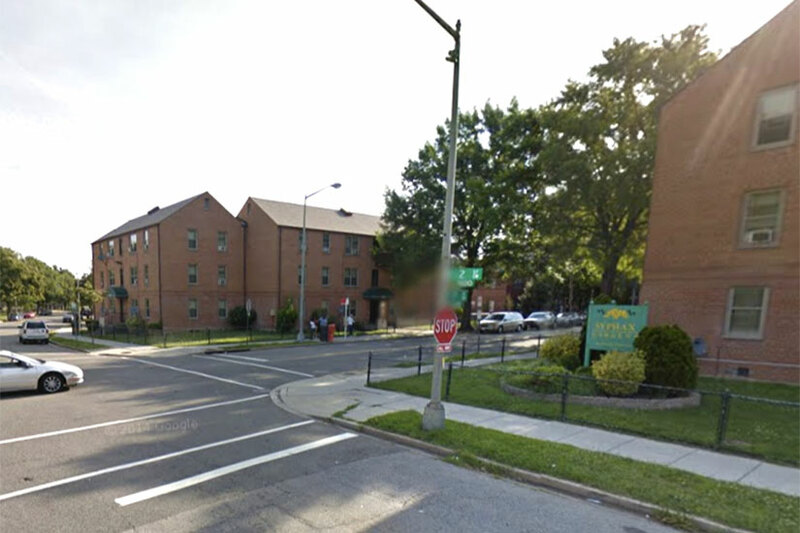 The armed robbery happened near 2nd and P streets SW about 8 a.m.
a black male, 6’0, high top fade wearing a white tank, blue jean shorts, armed with a knife. a black male, 5’10, 16 years of age, 130 pounds wearing a black shirt. a black male, 5’6, 16 years of age, 110-120 pounds, wearing a white tank and red shorts, armed with a knife. a black male, wearing black and white Adidas pants. A new principal will take the helm at Jefferson Middle School Academy for the 2016-2017 academic year. 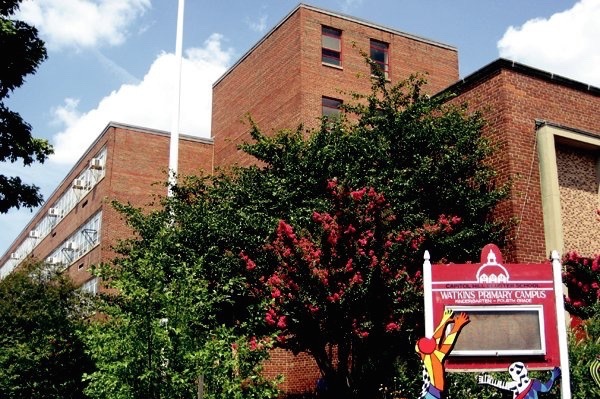 Former Jefferson assistant principal Greg Dohmann will serve as the school’s head principal this fall, according to D.C. Public Schools press release. 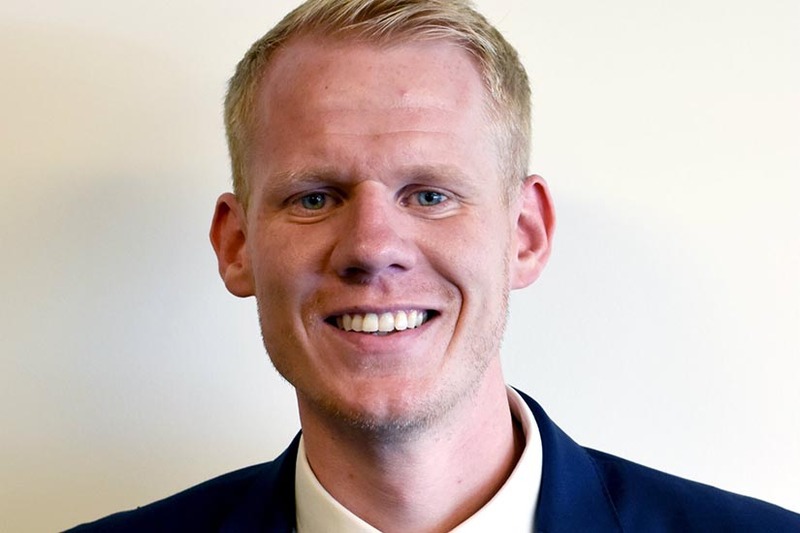 Dohmann, who also previously served as the school’s lead math teacher, was named Teacher of the Year and was honored with a Rubenstein Award for Highly Effective Teaching in 2013. Dohmann will replace former principal Natalie Gordon, who led the school for five years. Greg Dohmann is the new principal at Jefferson Middle School Academy for School Year 2016-2017. He served as Jefferson Academy’s assistant principal for two years, and prior to that role, was a lead math teacher for two years. As a school leader at Jefferson Academy, Dohmann helped reduce school suspensions by 44 percent in School Year 2014-2015. He is committed to ensuring that students always feel safe, are supported and motivated to work hard, and love their school. In 2013, he was the Teacher of the Year at Jefferson Academy and was honored with a Rubenstein Award for Highly Effective Teaching. He holds a bachelor’s degree in journalism from the University of Maryland and a master’s degree in education from American University. Ward 6 Councilmember Charles Allen honored Capitol Hill lobbyist E. Linwood “Tip” Tipton by renaming an alleyway after him. 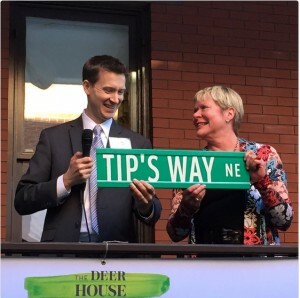 On June 8, the alleyway behind 7th St., 8th St., A St. and E. Capitol St. NE was officially named Tip’s Way. Tipton’s wife, Connie, his sons and his friends were in attendance for the special honor. According to his Washington Post obituary, Tipton died in 2013 at the age of 78. He was a dairy lobbyist and long-time civic activist who played a major role in the Hill area. 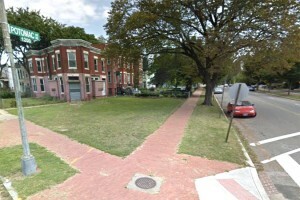 Tipton was also pivotal in securing federal funding from Congress for the improvement of the Eastern Market Metro Plaza, according to Hill Rag. 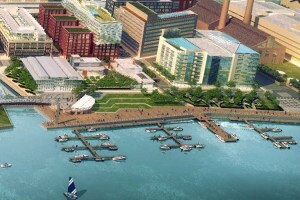 In 2008, Tipton became chairman of Barracks Row Main Street (BRMS), a partnership charted by the National Trust that has played a critical part in revitalization of Barracks Row. According to Laura Marks, chief of staff for Allen’s office, Tipton also worked with the city to improve the quality of life in different neighborhoods. He was a pioneer in the re-bricking of the alley behind his and his neighbors’ homes, now known as Tip’s Way. He left behind a lasting legacy that will now be remembered daily as commuters travel along Tip’s Way. One of H Street’s buzziest restaurants won top honors at last night’s 34th Annual RAMMY Awards. 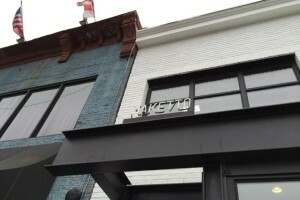 Maketto (1351 H St. NE) was named Best New Restaurant of the Year during the award show, which was held at the Walter E. Washington Convention Center last night. The restaurant beat other trendy restaurants such as Centrolina, Convivial and Masseria by Nicholas Stefanelli in winning the award. 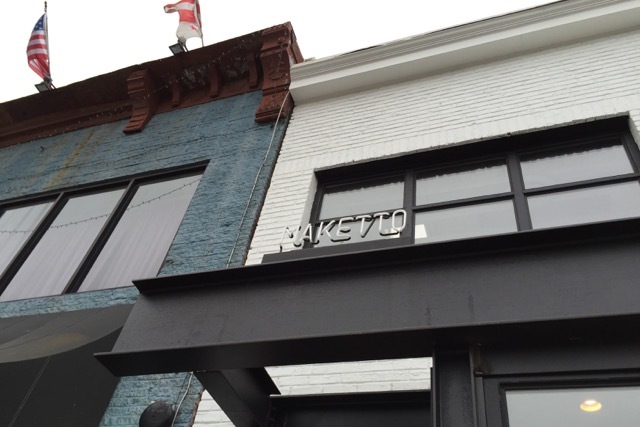 Maketto opened its doors a year ago and has since won the approval of food critics and local diners alike. 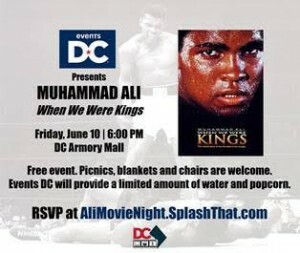 Locals can pay tribute to legendary boxer Muhammad Ali during a free film screening at the D.C Armory (2001 E. Capitol St. SE.) tomorrow night. Events D.C. will host a free showing of the film “When We Were Kings: The Untold Story of the Rumble in the Jungle.” The viewing will begin at 6:00 p.m. and is a free and open to the public. “When We Were Kings” is a documentary about the 1974 heavyweight championship bout between then-champion George Foreman and Muhammad Ali. Events D.C. will provide water and popcorn during the screening. All those attending are encouraged to bring blankets, lawn chairs and other snacks. Locals are encouraged to RSVP for the screening ahead of time. (Updated at 4:55 p.m.) Locals in search of organic, healthy food will once again have the chance to buy freshly grown produce in Hill East. The Watkins Farmers Market is set to return for its fourth season tomorrow at 13 and E streets SE. The market is scheduled to run from 4 to 7:30 p.m., according to the website for New Morning Farm, which organizes it. New Morning Farm works with 40 other farms in the south-central Pennsylvania area to put the market together. The farms are slated to bring eggs and a variety of fresh early summer fruits, vegetables and herbs, including tomatoes, spinach, lettuce, strawberries and kale, New Morning Farm owner Jim Crawford said. 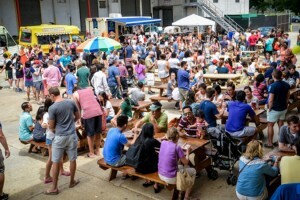 The market is scheduled to operate every Wednesday until October. 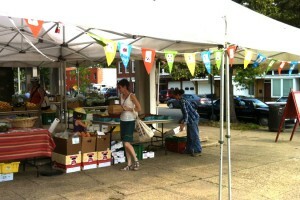 But once school is in session, the market is slated to operate from 3:30 to 7 p.m.